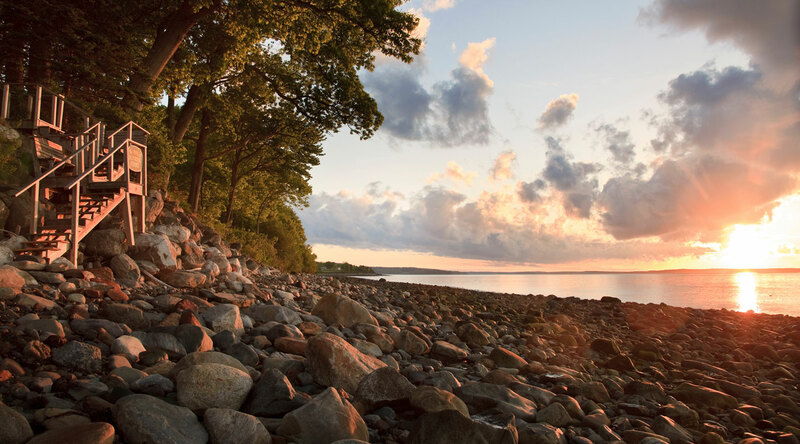 Midcoast Maine is the perfect place for a warm and wonderful summer escape with your best friends, and The Inn at Sunrise Point is an ideal place to stay to experience the best of what Maine has to offer. 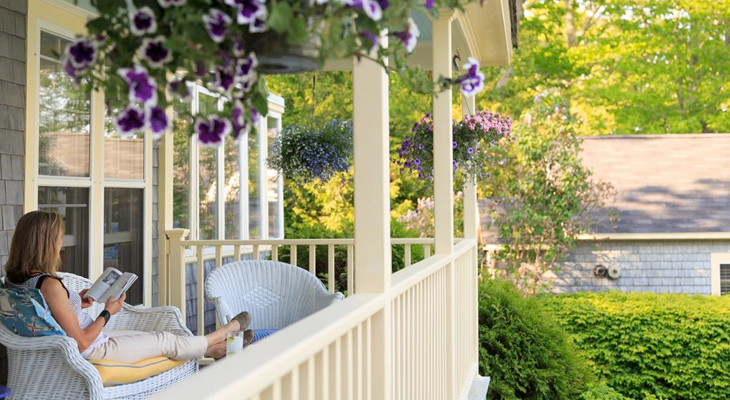 Read on to see how you can truly get away to relax and refresh this summer. 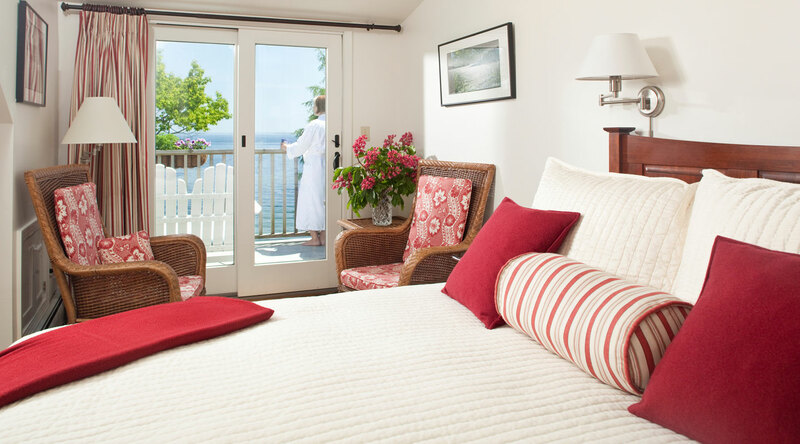 Our oceanfront accommodations in Maine offer the ultimate in comfort and luxury with their contemporary design, spectacular views, private decks, fireplaces, countless amenities and excellent service. If your group wants to stay together, our spacious Rachel Carson Cottage and premium Fitz Henry Lane Cottage connect to fit up to six guests – all just steps from the water. Start your day sipping Maine roasted Carrabassett coffee and enjoying a delightful three course breakfast on our covered porch. After you return from your day’s activities, adjourn to your room’s private patio with wine or cocktails from our full bar before freshening up and heading out to dinner. If you like wine, then you’ll definitely want to tour Cellardoor Winery with our Wine Lovers Experience, available for a limited time. You’ll learn about the winemaking process, from vine to bottle, with a knowledgeable and friendly guide. 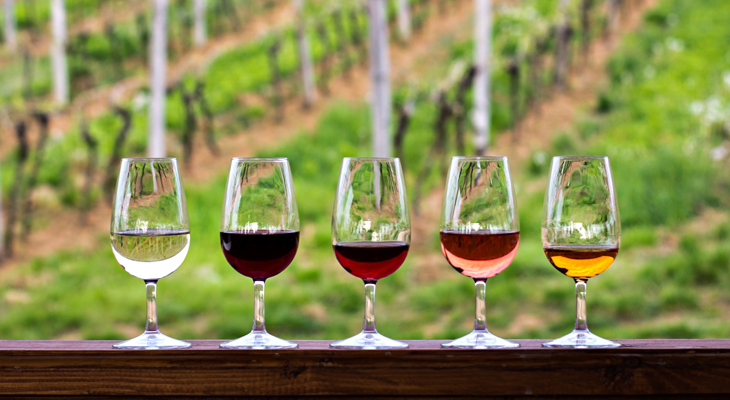 During your tour, you will all sample delightful wines paired with local cheeses. With this package, you will receive a souvenir wine glass, a bottle of Cellardoor wine and a secret gift from us. Book your VIP Wine Tour of Cellardoor Winery directly at Sunrispoint.com. 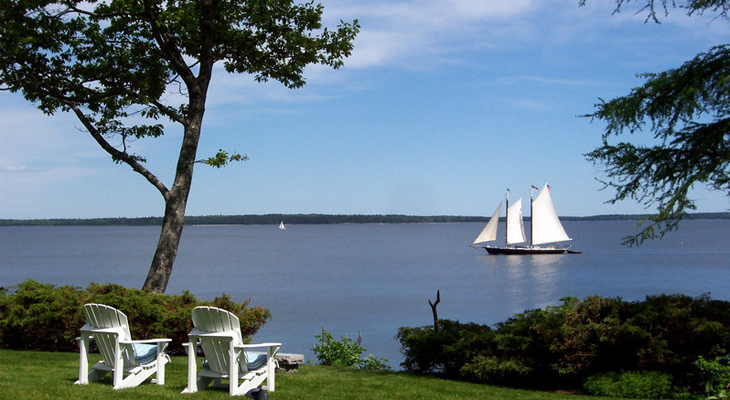 At our Coastal Maine Bed and Breakfast, a popular summer must-do is to set sail for a fun day on the water. Available Memorial Day through mid-October (weather dependent), our Summer Sailing Package can be added to any reservation online or by calling 207-236-7716. Your two hour schooner sail will depart from Camden Harbor, and will include a bottle of wine upon arrival, fresh flowers to brighten your room, plus a secret gift from us. 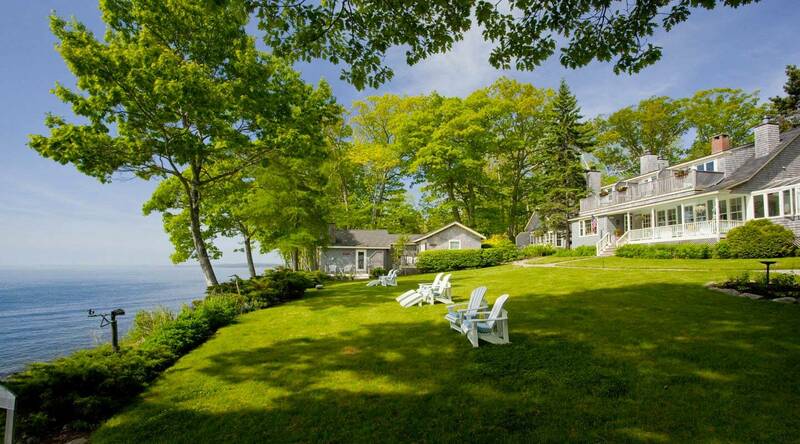 One of the most casually elegant ways to experience the beauty of the Maine Coast with your closest friends. Our oceanfront inn is just a few minutes from the quaint harbor town of Camden. You and your friends will love wandering around the unique shops or exploring Camden Hills State Park. If you’re looking for a great place to eat in Camden, we recommend Peter Ott’s on the Water, where you’ll find classic Maine cuisine, mouth-watering burgers, and so much more. While you’re there, try the lobster corn chowder. If you’re looking for fresh oysters, then we suggest that you drive just a couple more minutes south to Rockport to try 18 Central Oyster Bar & Grill. There you can enjoy some of the freshest local seafood, chef specialties, and an extensive beer, wine and cocktail list, all in a warm and welcoming pub-like atmosphere. Feeling a little artsy? 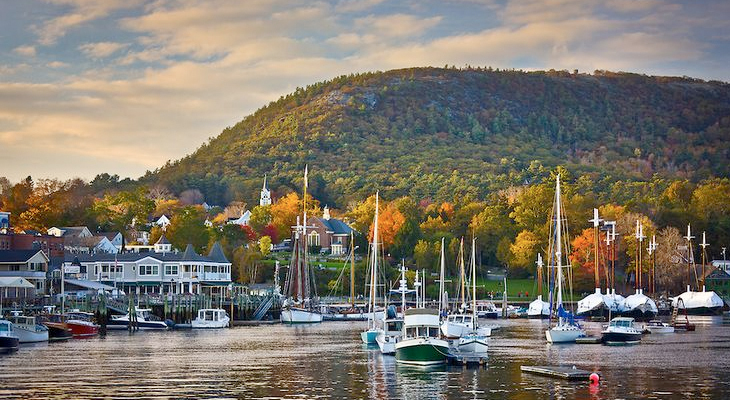 If so, head north to Belfast, Maine where you’ll be met with a very funky and eclectic mix of art galleries and artisans. The best way to explore the Belfast art scene is during their Fourth Friday Art Walks, featuring street musicians and farm-to-gallery food tastings, which may lead you to one of their wonderful restaurants in town. While the entire mid-coast Maine area is beautiful, we think that our oceanfront garden oasis is worth spending some time in as well. We recommend you all wake up early and perch yourself on our private beach to watch the sun rise – it’s named Sunrise Point for a reason! Our oversized hammocks are always available to welcome your well-deserved nap. Sit in our Adirondack chairs and soak up all of the sweet smells of the garden or just watch the boats float by. Pop into our Conservatory for home baked cookies and other refreshments throughout the day. If you want to take relaxation to the next level, we invite your crew to schedule a tranquil massage in your room or in our on-site garden spa. 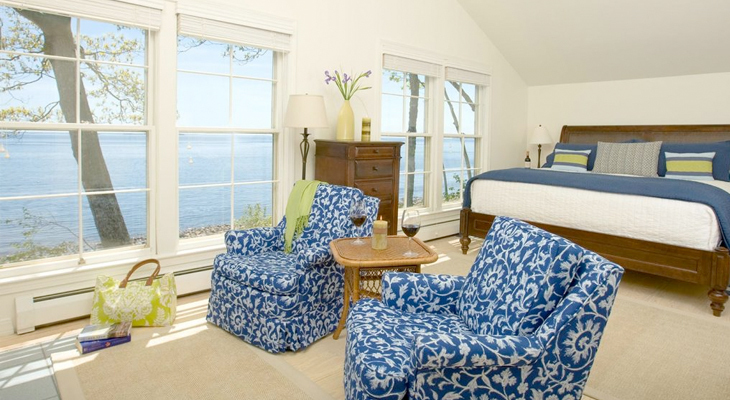 We look forward to welcoming you and your friends to our #1 rated B&B for a true retreat to the Maine coast.